Yamal-300K is a communications satellite that was built by ISS Reshetnev and will be operated by Gazprom Space Services. 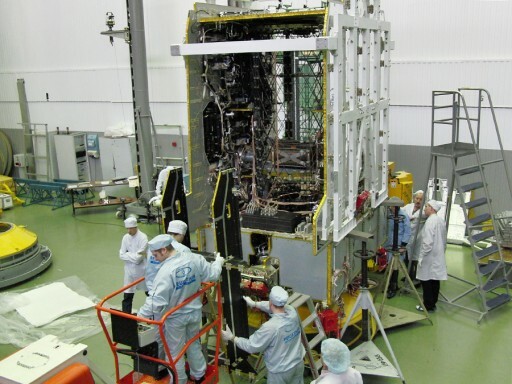 The satellite is based on the Ekspress-1000H platform and hosts a 6-kilowatt communications payload consisting of 8 C-Band Transponders and 18 Ku-Band Transponders. The vehicle has two deployable solar arrays and a propulsion system, and has a total mass of 1,640 Kilograms. The Ku-Band antennas form three beams, two fixed beams and one steerable beam covering Russia and neighboring countries from an orbital position of 90 degrees east in Geostationary Orbit. The C-Band System and an Rx/Tx antenna cover the same area. The satellite will provide TV distribution, VSAT services for corporate networks, DVB-S internet access and a variety of data communications. Yamal will operate for 14 years.